Thriving Places Wales is based on Happy City’s ground-breaking Thriving Places Index, which measures how well areas are doing at growing the conditions for equitable, sustainable wellbeing. It is designed to provide a robust reporting framework to support decision-makers in local areas to improve lives on the ground and to help shift the focus, place by place, towards measuring what matters. 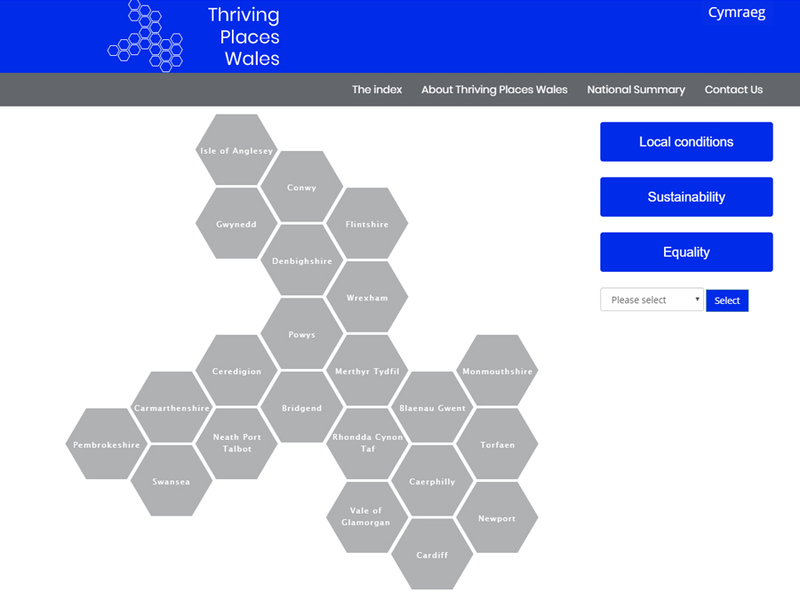 Thriving Places Wales uses a broad range of 55 measures that reflect the increasing understanding that well-being is a multi-dimensional concept, determined by many diverse factors. These factors tend to be causally connected to each other to create a ‘web’ of conditions that impact on people’s well-being.